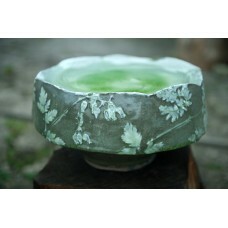 Individually designed and made pieces of fine pottery. 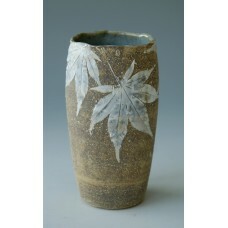 These are thrown and altered, and using plants in season, I create fossil like accretions on the sur..
A box in porcelain. 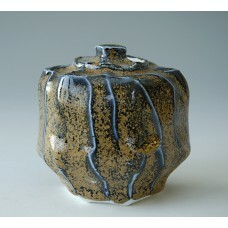 The glaze has small gold crystals floating in a black matrix. 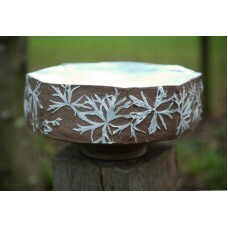 Made by a compli..
A small box in porcelain. 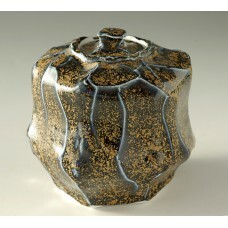 The glaze has small gold crystals floating in a black matrix. 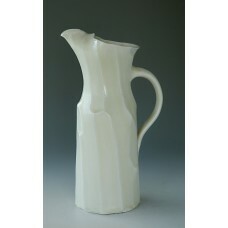 Made by a co..
Porcelain jug with a glaze that grows tiny white crystals that give a satin quality which breaks c..
Porcelain jug with a glaze that grows tiny white crystals that give a satin quality which breaks cle..
Porcelain jug with a chun glaze that breaks white on the ridges. 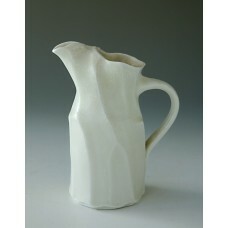 These are faceted and folded ..
Porcelain jug with a glaze that has tiny white crystals floating in a celadon matrix. 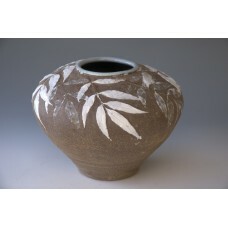 These ..
A large jar in stoneware and porcelain. 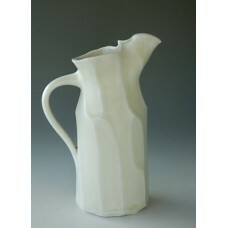 The exterior is unglazed and a Chun glaze used inside. 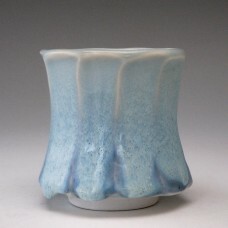 ..
Sold, but available to commission.A small pod shape that fits snugly in the hands. 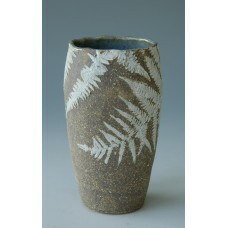 This one is stone..
Stoneware 'Pod' with fern fossils clinging around it. 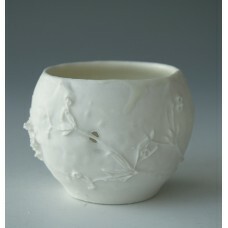 Porcelain is layered onto the surface to..
Small pod in very finely thrown porcelain. The plant is a ubiquitous weed called 'goose grass'.. 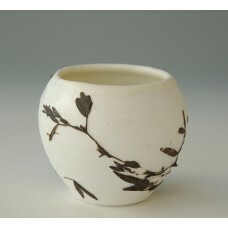 Very finely thrown porcelain pod. 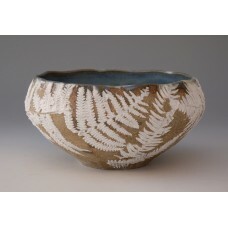 A black slip is used to create the ghost 'fossil' of a small vetch..
Porcelain teabowl, thrown and faceted while still on the wheel. 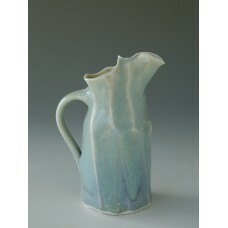 A chun glaze is used in two tw..